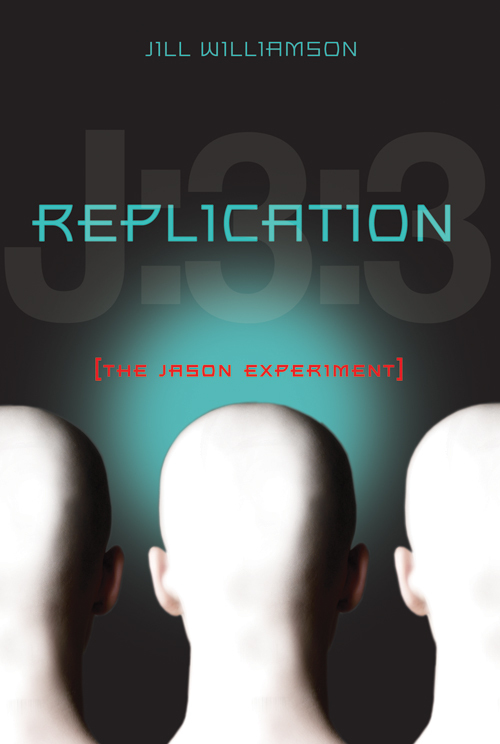 Martyr-otherwise known as Jason 3:3-is one of hundreds of clones kept in a remote facility called Jason Farms. Told that he has been created to save humanity, Martyr has just one wish before he is scheduled to "expire" in less than a month. To see the sky. As the reality of the Jason Experiment comes to light, Martyr is caught between two futures-the one for which he was produced and the one Abby believes God created him to have. Time is running out, and Martyr must decide if a life with Abby is worth leaving everything he's ever known. Wow. Can I just say, "wow?" No, I suppose I need to say more than that. Williamson has managed to bring Christian YA fiction in to a perfect harmony with one of the more controversial speculative fiction concerns of our world. Replication is about clones and cloning. It's not merely about the legal and ethical issues of cloning itself. Instead, Williamson takes on the challenge of a clone's inner struggle once he exists. Whether or not he has rights isn't the issue; it's whether or not he is a child of God. Martyr is definitely a hero, though a selfless one as his name would suggest. He's an unlikely one, but somehow that makes him all the better. His humanness, and the struggle to determine just what that means is beautifully described and not too unlike what any teenager goes through. It is Christian YA fiction, and it doesn't disappoint in making sure that you know that. But, it's not "preachy" and not so overdone as to turn off the average reader who doesn't usually grab Christian fiction. 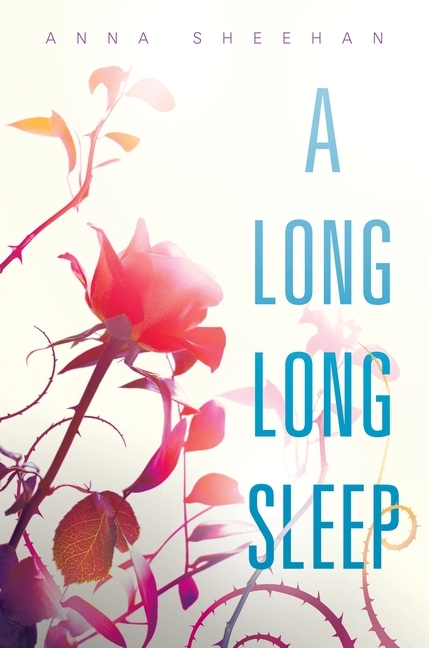 Rosalinda Fitzroy has been asleep for sixty-two years when she is woken by a kiss. Locked away in the chemically induced slumber of a stasis tube in a forgotten subbasement, sixteen-year-old Rose slept straight through the Dark Times that killed millions and utterly changed the world she knew. Now, her parents and her first love are long gone, and Rose-- hailed upon her awakening as the long-lost heir to an interplanetary empire-- is thrust alone into a future in which she is viewed as either a freak or a threat. Desperate to put the past behind her and adapt to her new world, Rose finds herself drawn to the boy who kissed her awake, hoping that he can help her to start fresh. But when a deadly danger jeopardizes her fragile new existence, Rose must face the ghosts of her past with open eyes-- or be left without any future at all. I never judge a book by its cover, but I do make some estimations about how the story will play out based on the colors and images. It's a rose, with pretty sky blue colored lettering. Yes, the thorns are obvious on the rose bush, but heck, you'd expect adapting to a completely new life after 60 years to be a little thorny. All in all, I expected if not a happy read, at least a pleasant one overall. It's so much darker than that. Rosalinda learns the truth about herself, her world, her loved ones. There is so much she never knew. Odd book, that did leave me a little disturbed at the end. But in a good way, a thinking about the story way. Definitely one I'll recommend. Can I just say, I love my Fire. I do. The color is nice, it's nice to be able to bounce back and forth as I'm reading to the Internet (I tend to want to do quick research on something if it comes up in my reading). I like that it's a touch screen. I love that today I figured out how to side-load apps--ones that are available in the Android Marketplace but not on the Amazon App Store. This TRULY rocks. So, as of now, I'm the proudly able to use my Adobe Digital Editions app (which is handy when the ARCs on NetGalley aren't Kindle-friendly---or the Kindle isn't ARC-friendly.). I've also loaded my Nook App on there, just in case, and a the Alkido reading app, for any other PDF or ePub book I can't get to one of the other ways. Because, it happens. 1) Battery life. I know all the bells and whistles just take more battery life, but it's really frustrating, with as much reading as I do to have to charge it every 2 to 2-1/2 days because it's DEAD. Let me stress that, it's DEAD. 2) Doesn't come with a USB cord to connect to the computer. This wasn't a big deal...until I decided to sell the old Kindle Keyboard and had to package it's USB cord/AC adapter combo to ship along with it. But today, now that I've figured how to get my ARCs out of the Adobe Digital Editions folder on my computer and into my Kindle...I need it. Otherwise, I'll have to keep borrowing one from a Nook at work.